Douglas is a lover of nature and a keen amateur botanist. He loves nothing more than to go wandering out in the wilds beyond the wall. 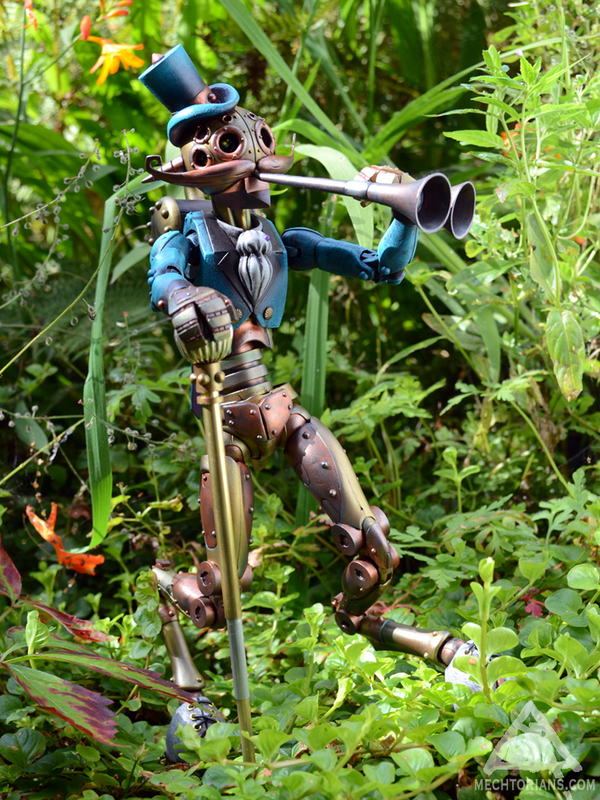 Heralding the dawn with his haunting pipe music. When he is unable to leave the city he is forced to search out greenery where he can. This resulted in him gaining a less than respectable reputation after he and his pipes accidentally startled some ladies in the botanical gardens. Epoxy, Polyutethane Resin, Acrylic, Steel, Aluminium, Brass, Leather, Lead, and Found Objects.